Michael Pompeo extended his heartfelt condolences to the people of India on the passing of Atal Bihari Vajpayee, on behalf of the United States of America. Atal Bihari Vajpayee recognised early on that the US-India partnership would contribute to the world's economic prosperity and security and the two democracies continue to benefit from his vision, US Secretary of State Michael Pompeo said while condoling the death of the former Prime Minister. Mr Vajpayee, one of India's most charismatic leaders and inspirational orators, died on Thursday at the age of 93. His death was announced by the All India Institute of Medical Sciences (AIIMS) hospital where he was admitted on June 11 with a variety of ailments. AIIMS said his condition was stable for the last nine weeks, but it deteriorated over the last 36 hours and he was put on life support systems. "On behalf of the people of the United States of America, I extend my heartfelt condolences to the people of India on the recent passing of Former Prime Minister Atal Bihari Vajpayee," Michael Pompeo said in a statement on Thursday. He said Indians will reflect on the 93-year-old politician's many contributions that led to India's rise as a global and economic power. "He championed tirelessly for his country's development and demonstrated a devotion to improving the lives of every Indian," Mr Pompeo said. The top US diplomat recalled Mr Vajpayee's address to the United States Congress in 2000, when he had famously characterized US-India ties as a "natural partnership of shared endeavours". Atal Bihari Vajpayee "recognized early on that the United States and India, based on their shared democratic values, could develop a partnership that would contribute to the economic prosperity and security of the region and the world. Today, our two countries and our bilateral relationship continue to benefit from Prime Minister Vajpayee's vision, which helped promote expanded cooperation," Mr Pompeo said. He said the American people stand with the people of India "as we mourn Prime Minister Vajpayee's passing". "Today, we hold the people of India in our thoughts and prayers," he added. 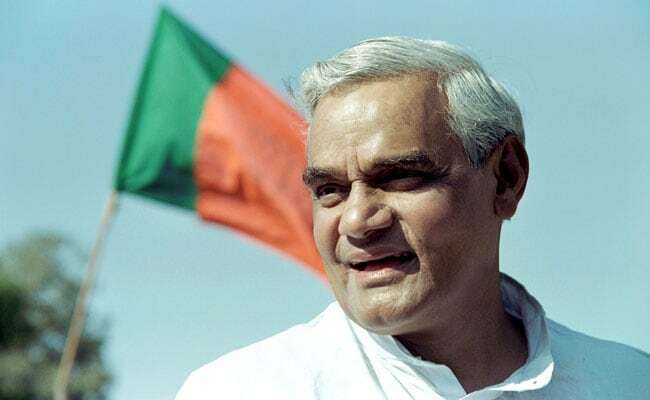 Atal Bihari Vajpayee, a diabetic, had only one functional kidney. He suffered a stroke in 2009 that weakened his cognitive abilities. Subsequently, he developed dementia. He joined the Rastriya Swamsevak Sangha (RSS) in 1947 and rose through ranks to become a stalwart of the BJP and was the first non-Congress prime minister to complete a full term in office. A 10-time MP of the Lok Sabha, Atal Bihari Vajpayee announced his retirement from politics in 2005. He was also a member of the Rajya Sabha twice. Born on December 25, 1924 in Gwalior in Madhya Pradesh to a schoolteacher, former Prime Minister Vajpayee did his M A in political science. Following a brief flirtation with communism, he became a full-time worker of RSS in 1947. Atal Bihari Vajpayee, a bachelor, is survived by his adopted daughter Namita Kaul Bhattacharya.